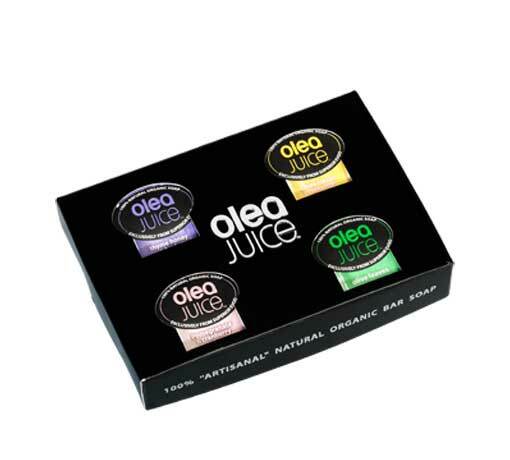 The Olea Juice™ Gift pack of 4 assorted soap bars is consisted of: Olea Juice™ Chios Mastic & Cinnamon, Olea Juice™ Thyme Honey & Herbs, Olea Juice™ Olive Leaves and Olea Juice™ Pomegranate & Cranberry. 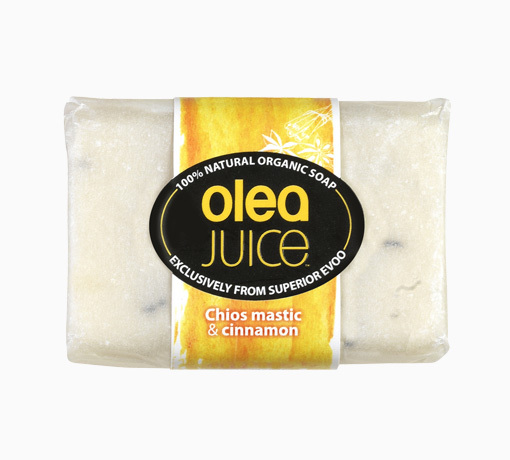 Ingredients: Saponified vegetal fats, (palm oil and palm kernel oil), water, Olea Juice™ Extra Virgin Olive Oil, fragrance, sea salt, glycerin, Chios mastic and cinnamon. 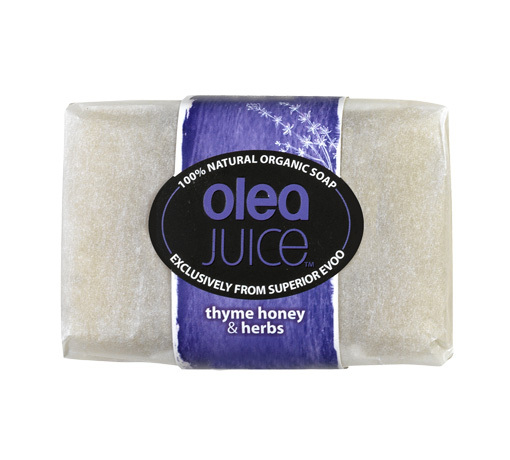 Ingredients: Saponified vegetal fats, (palm oil and palm kernel oil), water, glycerin, Greek thyme honey, Olea Juice™ Extra Virgin Olive Oil, fragrance, sea salt and thyme. 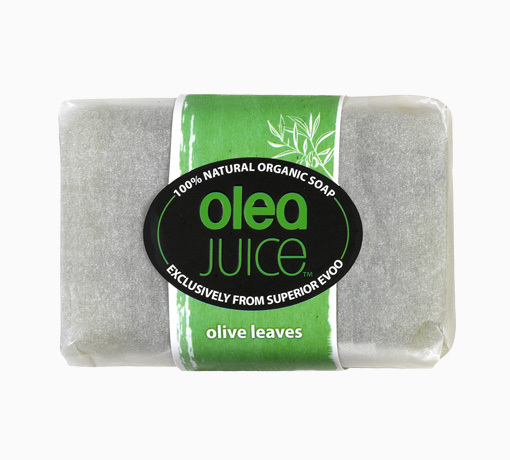 Ingredients: Saponified vegetal fats, (palm oil, olive oil, palm kernel oil), water, glycerine, Olea Juice™ Extra Virgin Olive Oil, sea salt and olive leaves. 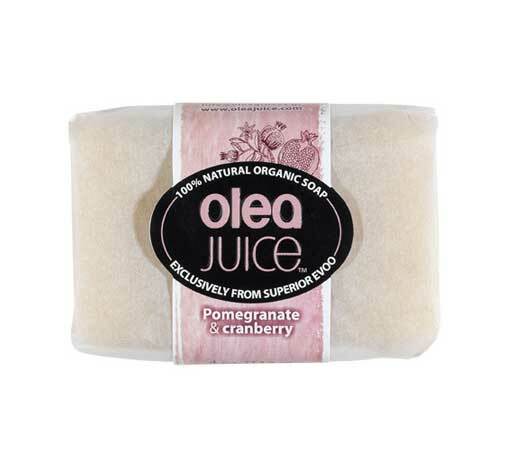 Ingredients: Saponified vegetal fats, (palm oil and palm kernel oil), water, Olea Juice™ Extra Virgin Olive Oil, pomegranate extract, fragrance, sea salt, glycerin and cranberry.